Battery Boys provides honest, prompt and professional golf cart repair services to The Villages and surrounding communities by combining quality products and competent service technicians with clear, concise communication and integrity at all times. 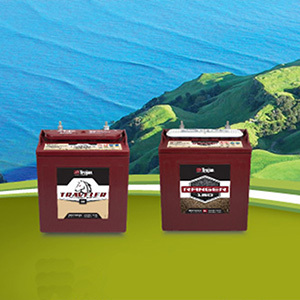 We carry Trojan Batteries in 6, 8, and 12 volt. NexGen Lithium Ion Batteries are Plug and Play. Simply take out your old batteries and put in our drop in replacement NexGen Batteries, turn on the key, and your ready to go. 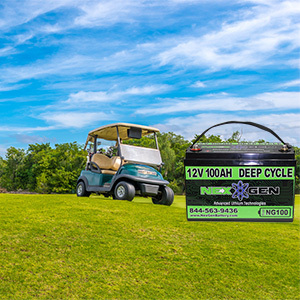 Our batteries can extend the range of your golf cart, last over 10 years or UP TO 5000 cycles, are 70% lighter, and are completely maintenance free. Give our products a try today and experience the benefits of a longer range, an incredibly shortened re-charge time, and a more responsive reaction when putting that pedal to the metal. NexGen Lithium Batteries are a significant upgrade from traditional batteries such as Lead Acid or AGM. Our batteries are Plug & Go for any application currently using a traditional battery. Our lithium batteries can be connected in series and parallel and have a built in Battery Management System (BMS) that maximizes the performance of the battery by automatically balancing the cells and protecting them from being over charged or over dis-charged. NexGen Lithium Ion Batteries are the future of sustainable energy! Weighing up to 75% less than the standard lead acid battery, Lithium Batteries can significantly reduce the weight of your vehicle thus improving performance. Built to last, Lithium Ion Batteries have a life span of up to 10 times longer than traditional lead batteries. Battery life is measured in cycles and a NexGen Lithium battery will perform like a champ for over 5,000 cycles at 100% DOD compared to lead acid battery which will cycle 500 times at 80% DOD. So that is 10 lead batteries you would have to buy to last the duration of a NexGen Lithium Ion Battery thus making lithium the cheapest option over time. Another cost factor to consider is the time it takes to charge a lead acid battery. NexGen Lithium Batteries can be fast charged to 100% unlike a lead battery. The final 20% of a lead battery cannot be fast charged like the first 80% and what often happens is a lead battery is pulled off the charger before the full charge occurs which prematurely ages the battery leading to an even shorter life span. NexGen Lithium batteries charge lightning fast and some will charge in as little as 30 minutes, talk about saving money! If for some reason you don’t have the time to charge the battery to full 100% you will not damage it or jeopardize the life span and the battery will still produce consistently. View more details and compare pricing on our batteries page. Battery Boys is now carrying a variety of use golf carts. Call us at 352-643-1241 for details on our current inventory.